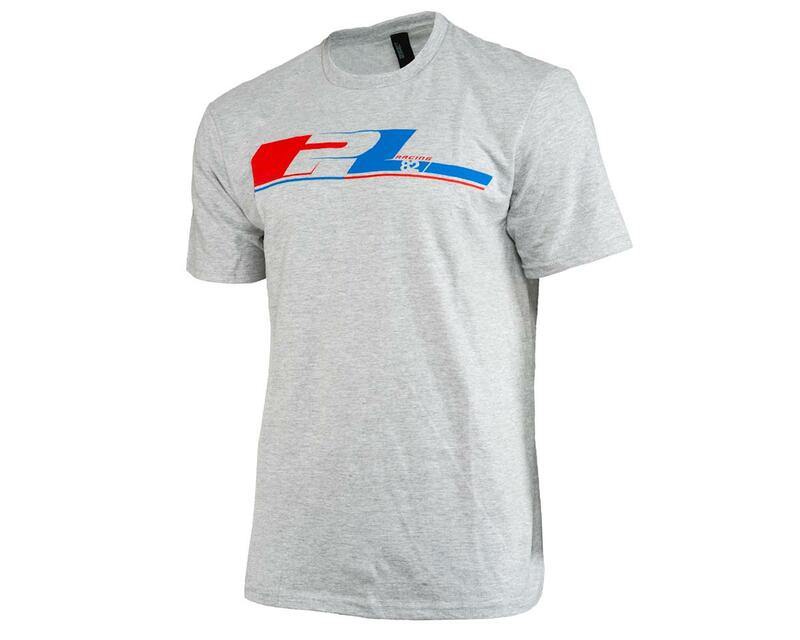 The Pro-Line 82 Rewind Light Gray T-Shirt features throwback 1982 Red and Blue styling creating a large P-L logo in the front. 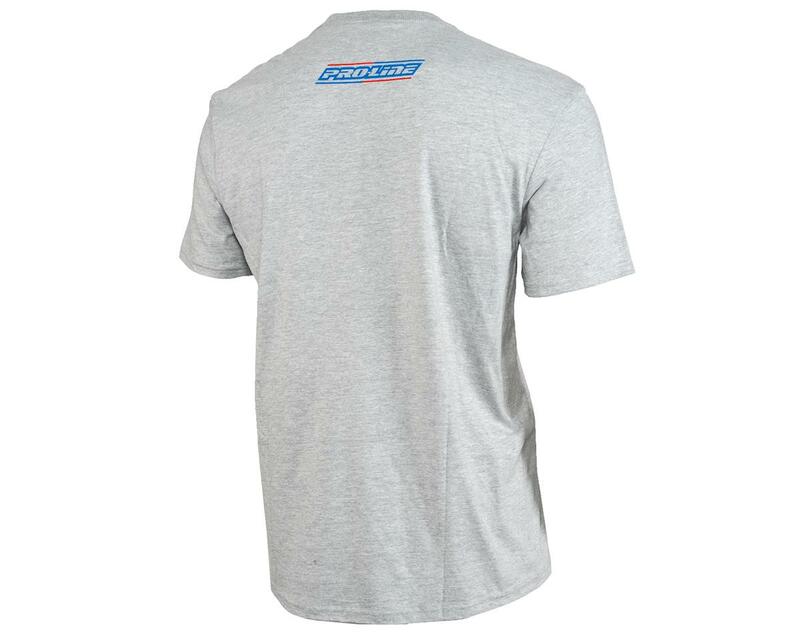 This Cotton and Polyester Blend T-Shirt is just what you need for celebrating Pro-Line's 35+ years of racing heritage. The back has a small Pro-Line logo centered on the upper back. Choose your size from the pull down menu above.